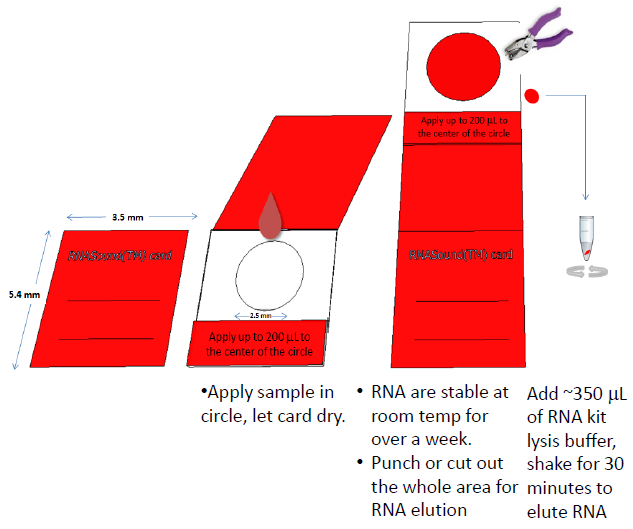 Blood RNA stable at room temperature for one week ! 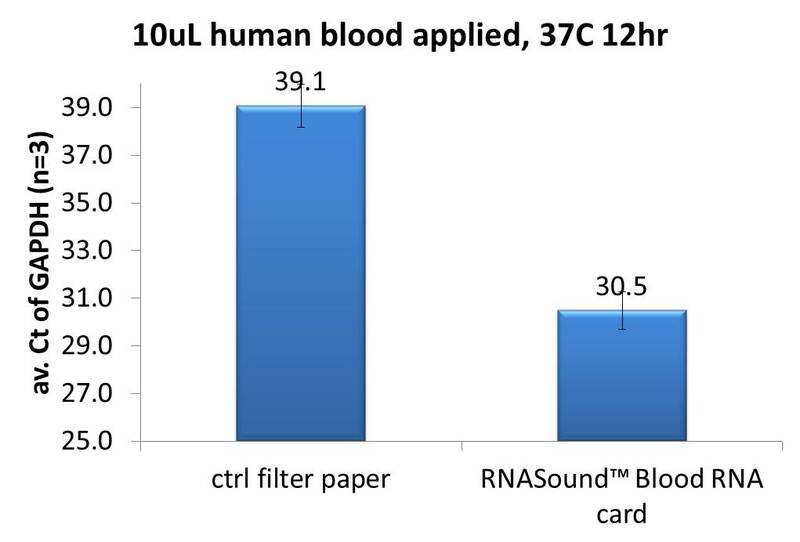 RNASound™ RNA cards unprecedentedly preserve blood RNA at room temperature or higher. incubated at 37 °C for 12 hours. stabilization requires much harsher enzymatic inhibitors.